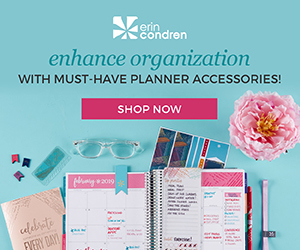 This post contains affiliate links, which means that if you click them and make a purchase, I can earn a small commission. 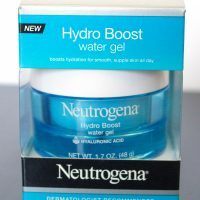 This post is not sponsored, however some of the products mentioned were sent to me from the brand for free in exchange for my honest review. Has anyone else noticed that I am SUPER overdue for my next installment of Shop the Stash?! I’ve been a little bit distracted with all the new goodies I took home from Gen Beauty (can you blame me? ), which means my quest for rediscovery got temporarily put on pause. But now that I’ve had plenty of time to play I’m ready to get back to business! 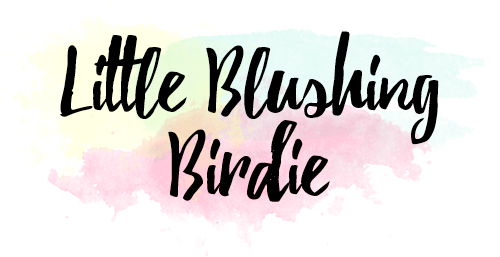 For those of you who might have missed out on my first couple of posts from this series, we’re going through my makeup stash one category at a time in the hopes of rediscovering amazing products I’ve been neglecting. As we “shop the stash” I’ll be giving you mini reviews of each product and tips on how I like to use them. 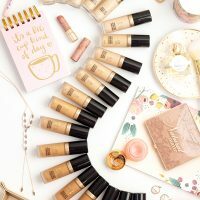 So far we’ve covered my collection of eye primers, concealers, and bronzers, and today we’re going to be chatting all things brow-related! For the longest time I never considered eyebrows a necessary step of my makeup routine, but now I feel naked if I leave the house without them done! As a result I’ve ended up with quite an arsenal of products to fill, define, and highlight those bad boys. 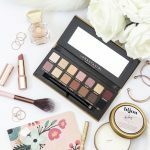 So let’s take a look at everything and see which of these brow goodies are my absolute faves! 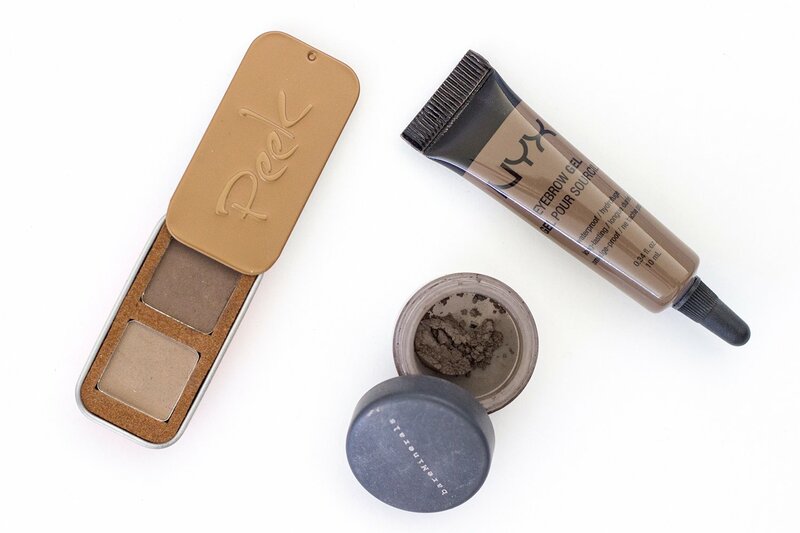 Peek Beauty Expresso Natural Stain Brow Powder ($22) // This brow powder duo is one of the oh-so-distracting goodies that I took home with me from Gen Beauty. 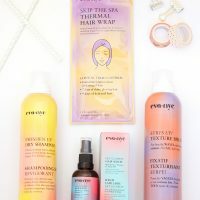 If you’re following me on Instagram you’ve probably noticed that I’m a tiny bit obsessed with this product as per late. It fills in your brows beautifully, has awesome lasting power, AND it totally smells yummy! NYX Eyebrow Gel ($6.99) // I. LOVE. THIS. PRODUCT. Really, though. This might be one of the best drugstore brow finds I’ve come across. If you want Instagram-worthy, ultra-defined, brows-on-fleek, you need this product in your life. Not only does it offer the perfect level of pigmentation, but it’s also completely waterproof once it sets. Bare Minerals Brow Color ($12) // No lie, this is probably the first legit brow product I probably ever bought myself! How I still have it, I have no idea, but apparently it’s still going strong. This loose powder is kind of a pain to use (as any loose powder tends to be), and it’s definitely not as long wearing for a powder as the Peek one is. It definitely gets the job done and makes my brows look nice, I’ve just found so many other products I like more than this that I probably should finally give it up. Kat Von D Tattoo Brow ($19) // I think this is definitely the weirdest of the brow products I own, but I don’t hate it. At first glance it looks an awful lot like a liquid liner, but in actuality the product is way less pigmented and scary to work with. 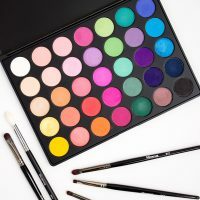 You can use it to fill in your brows with feather-light strokes and the end result will be pretty natural, but I think I prefer a powder or some of these other pencils to do the job. Maybelline Brow Precise Shaping Pencil ($7.99) // I remember picking up this product before the drugstore exploded with Brow Wiz dupes. I was looking for an affordable brow pencil and I was just happy that this version had a spooly. Unfortunately you do need to sharpen it (which is a pain) and the pencil itself has a very thick, waxy texture that I don’t think is incredibly flattering in your brows. This has been sitting neglected for a while on my vanity, and since I’m loving so many other products more (even from the drugstore) I think it’s time I declutter this one. L’Oreal Brow Stylist Definer ($8.99) // Now, if you want an AWESOME drugstore brow pencil, I couldn’t recommend this one more! 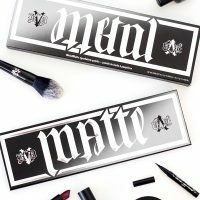 It’s a perfect dupe for the Anastasia Brow Wiz (dont’ worry, we’re getting there) in both design and formula. The only downside to this particular product is that it only comes in three shades (blonde, brunette, dark brown), which means that some people will have to stretch a bit to find a good color match. I’ve heard that the NYX Micro Brow Pencil is also a similar dupe, and that one has a much better shade range. So if you’re struggling with L’Oreal’s version, I would give that one a go! Anastasia Beverly Hills Brow Wiz ($21) // This eyebrow pencil is a cult classic for a reason. It’s got a micro fine automatic brow pencil on one end and a spooly on the other, allowing you the ultimate amount of precision in defining and filling in your brows. The pencil itself has the perfect consistency to glide on with ease while also not depositing too much pigmentation. There’s also a bangin’ shade range so just about everyone can find a color that perfectly matches their brows. Smashbox Brow Tech Gloss Stick ($21) // I know what you’re thinking, glossy brows? It sounds kind of strange, but I actually really like the finish. It’s perfect for a natural makeup day, as it gives your face a very fresh, dewy finish the same way a cream blush or highlight might. What I love most about this pencil, though, is that it’s fast. The glossy formula glides on super quick, which means you can do your brows in 30 seconds and be out the door. Chella Eyebrow Pencil ($18) // I really want to love this brow pencil, but it fails me in one big way – there’s no spooly. The pencil itself does a great job of defining your brows and I love that I don’t need to sharpen it, but I always need to reach for my NYX Dual Brow Brush to brush the product through and make sure all of the hairs are in place. If they ever redesign this product to include that feature, I think it will make a lot of people (myself included) very happy. Nudestix Eyebrow Stylus Pencil & Gel ($24) // I honestly have no idea how this product is still going strong, because I’ve used it so dang much! 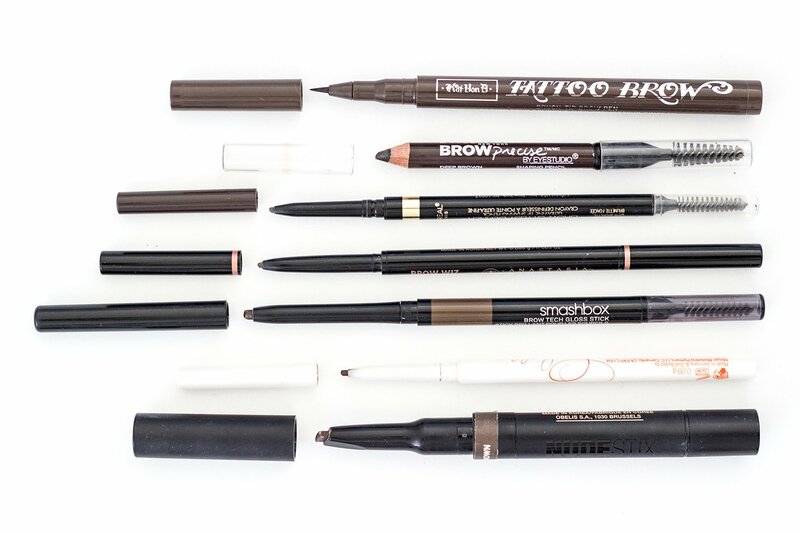 This pencil has the awesome added feature of having a brow setting gel built into the pencil, which makes it my absolute favorite brow product to take with me on-the-go. It went with me to Iceland for a week and it was absolutely perfect! The chiseled tip is actually really easy to use, and offers you both speed and precision, depending on which way you hold it. Benefit Gimme Brow ($24) // I actually just reintroduced Gimme Brow back into my collection after Gen Beauty (Benefit gave us all a full sized to take home), but I used to use this product years ago when it first launched. 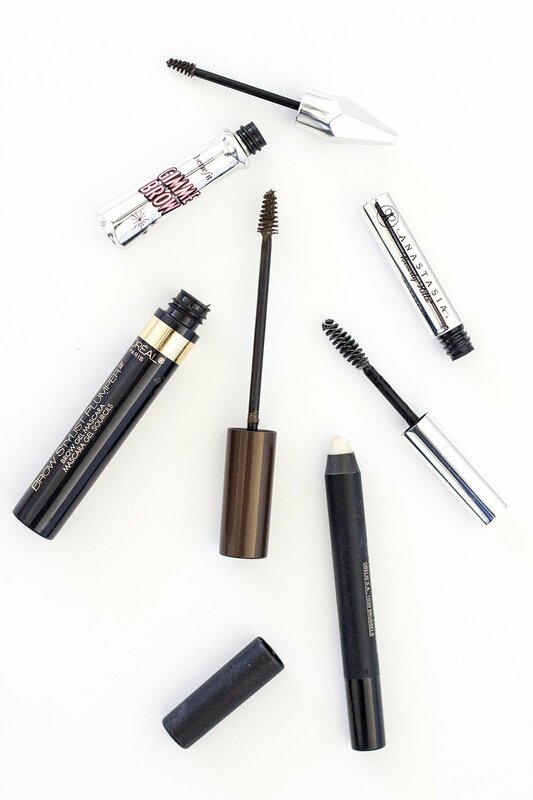 This product is sort of like a brow mascara, with tiny fibers that help to plump up the look of your natural brow hairs. It does a great job of making your brows look thicker and fuller, but its not going to give you precise definition. 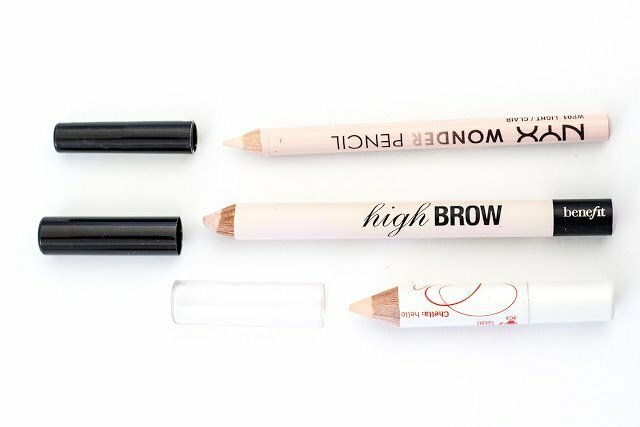 If you want crisp, clean lines I would recommend defining your brows with a pencil first, and then using this product to fill them in. 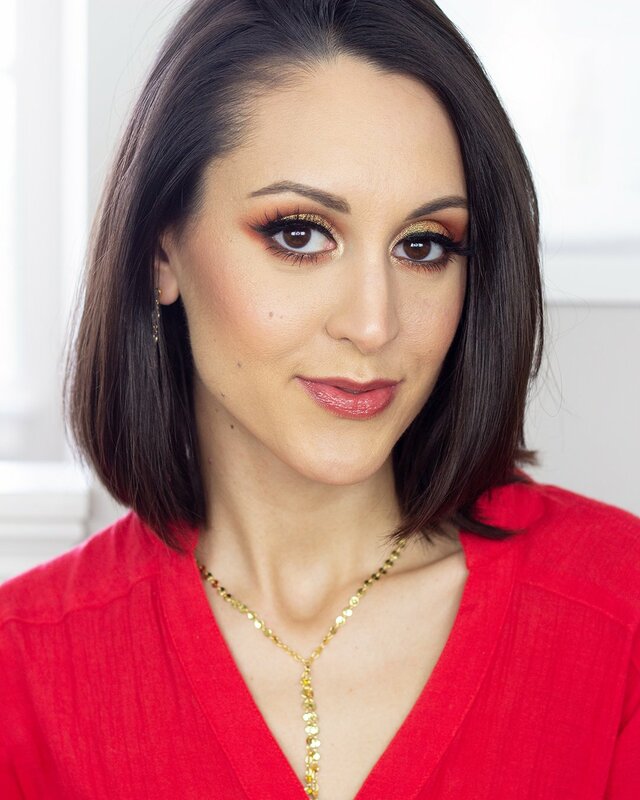 My favorite feature of Gimme Brow is the teeny tiny wand, which makes it easy to fill in thin brows like mine without getting product everywhere. L’Oreal Brow Stylist Plumper ($9.99) // I picked this product up when I was on a hunt for a Gimme Brow dupe, and while it claims to do similar things the formula and wand really are completely different. First of all, the wand is much bigger (even though the shape is essentially the same), which means that you aren’t going to be able to concentrate the product in certain areas as easily. Also, the formula is more like a traditional brow gel (versus the Gimme Brow which is more mousse-y) so you aren’t going to get quite the same thickening effect. It’s a perfectly decent tinted brow gel if that is what you’re after, but it’s not the dupe I was searching for. If you want a better Gimme Brow dupe, give the Essence Make Me Brow a try! Anastasia Beverly Hills Clear Brow Gel ($22) // Another cult favorite, this simple clear brow gel will lock your brows in place all day without any weird, flaky business. I’ve honestly never had to buy the full size of this product because it’s sampled so frequently, but I actually don’t mind having a tinier more travel-friendly version on hand. Nudestix Brow Wax ($24) // This is another one of those weird but cool products I’ve managed to end up with. As an alternative to brow gel, this clear wax will set your your brows in place without making them feel stiff or crunchy. If traditional brow gels make you crazy, but you don’t want your eyebrows to look wonky after a few hours, I think you’ll LOVE this product! Also, a little goes a long way, so it’ll definitely last you quite a while. NYX Wonder Pencil ($4.49) // I have a bit of a love/hate relationship with this little pencil. On one hand I love that it’s super slim, which means it can do everything from cleaning up my brows to brightening up my water line. However, I find that the actual texture of the product itself is a little less creamy and blendable than some of my other pencils. As far as drugstore options go its not bad, but it’s not my absolute favorite. Benefit High Brow ($22) // Benefit recently revamped all of their brow product packaging, so my High Brow looks a little different from what you’ll find in the stores right now, but it’s still the same pretty pink pencil. 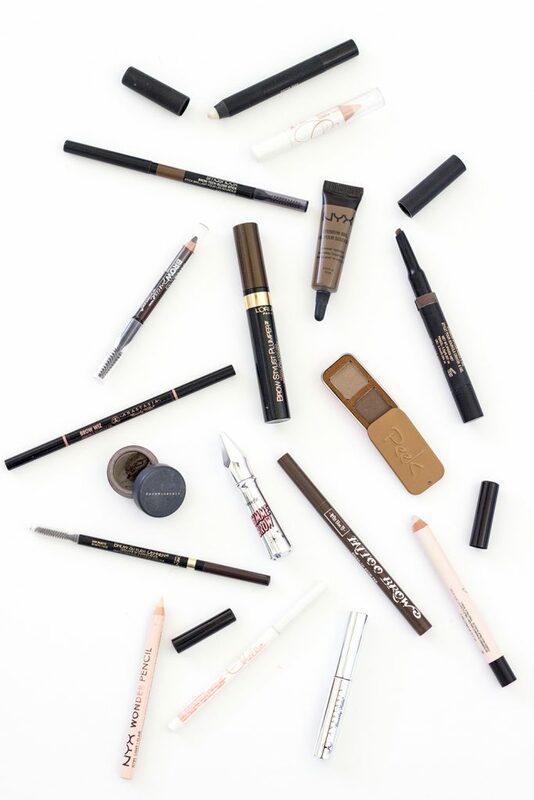 High Brow is great for highlighting the brow bone, minimizing the appearance of tiny hairs, and giving your brows a really chiseled-out appearance. My only gripe about it is that the pink undertone, while great for brightening on fair complexions, might look a little chalky on medium or more yellow-toned skin. Chella Ivory Lace Highlighter Pencil ($18) // If you can’t already tell by the fact that this pencil has been sharpened down to a nub, I have used this product TO DEATH. This is by far my favorite highlighting pencil of the three I own for a number of reasons. First of all, the undertone is a bit yellower, which suits my complexion best. Second, the formula is ridiculously blendable and creamy. I can draw it on and pat it in with my fingers in 15 seconds or less. Whether I want to highlight all over the face or just clean up the area under my brows, if I want to perfect my makeup look this pencil never fails me. 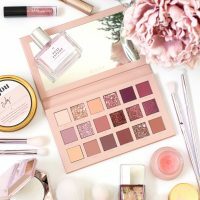 After going through everything I definitely think there are probably a few products I could part ways with. I definitely have NO shortage of options, and have no reason to hold on to anything I don’t absolutely love. On that note, what type of product should I shop next? Highlighters? Blushes? Palettes? I’d love to hear what you’d be excited to read about! Leave a comment down below and let me know.